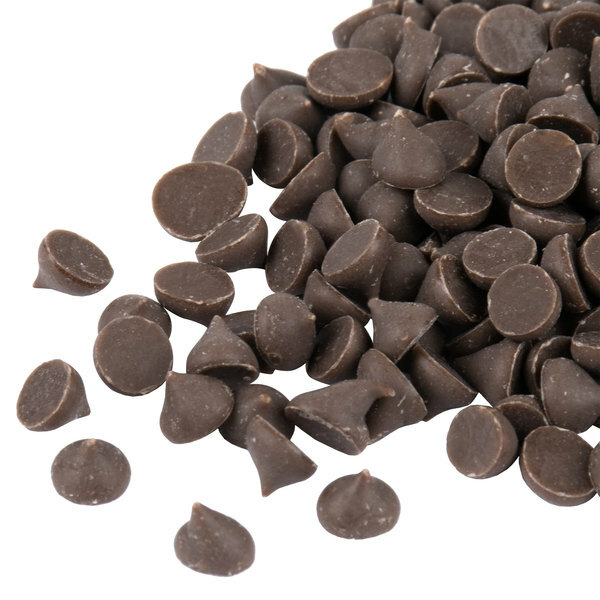 These Regal Foods 4M chocolate flavored chips are the perfect addition to any baked treat. Tempt all of your guests with chocolate chip pancakes and waffles for breakfast, or create satisfyingly sweet chocolate cheesecakes and chocolate truffles for dessert. This extremely versatile ingredient is a must have for any bakery, cafe, or ice cream shop! "A wonderful chocolate flavor. Great for coating cake pops and making chocolate decorations for cakes and cupcakes. Melts easily and is easy to work with." The perfect addition to any baked treat, these chocolate flavored chips are creamy, sweet, and full of irresistible chocolate flavor! From hot chocolates to baked goods, mix in these chocolate flavored chips, and appease all of your customers' cravings for chocolate! 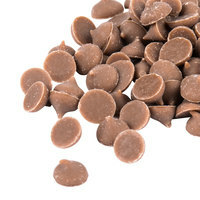 Great when melted and used in chocolate fountains or fondues, these chocolate chips can also enhance the flavor and texture of an endless variety of sweets! Smaller than an average 1M chip, these are great for packing tons of flavor into your baked goods! 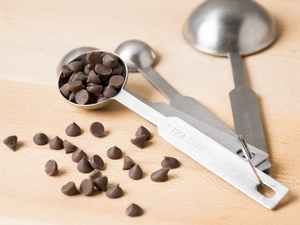 They're also great for toppings at your sundae bar or frozen yogurt shop. Is this product processed in a facility that processes tree nuts and peanuts? Yes. This product is processed in a facility that processes tree nuts and peanuts. This is my second time buying these baking chocolate chips. The first time i bought the 5 pound box and I liked them so much that I bought the 25 pound box. I mainly use these chips in blonde brownies, chocolate chip cookies, and chocolate chip oatmeal cookies. So far I’ve used the 4m baking chips throughout multiple treats. I’ve melted them down and used them in chocolate ganache and chocolate shards. They are great. The regal foods chocolate baking chips are delicious! The 5lb bag goes a long way and we can use them for all kinds of things in our store. 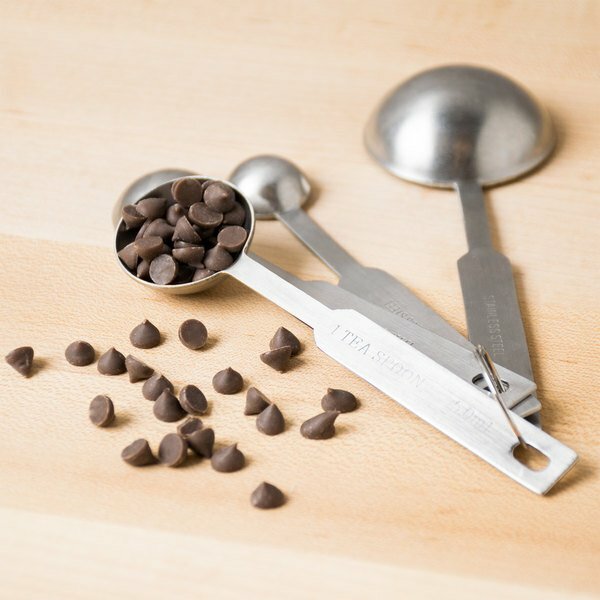 We use these not only for our ice cream toppings but for our chocolate chip frappes, Milkshakes and even our ice cream mixtures. They are a miniature size so they are perfect for all ages, especially children so we don't have to worry about them getting choked on them! The regal food chocolate flavored chips worked great with our chocolate fountain. We melted them down with a little oil and the chocolate flowed perfectly. Tasted great too. These are pretty good and we love the size of the morsels. They are tiny and great for decorating! For the price it will last you quite a bit. Taste I would give 7/10. 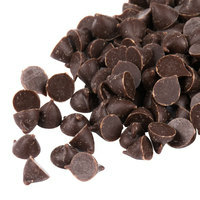 Great tasting chocolate chips, they are the right size and the sweetness is moderate. They are great for baking cookies, cakes and also for toppings. These chocolate flavored chips are somewhat lacking in chocolate flavor compared to regular chocolate chips. But you get what you pay for. The price is very reasonable. I will not buy again. Great baking chips. They are a little smaller than regular chips which I prefer. Great for sundae toppings, baking cookies or muffins, and putting on top of whipped cream on drinks. A nice quality chocolate flavored baking chip that is really great for melting down and using for dipping strawberries. The chips melt down great and have a great rich flavor. 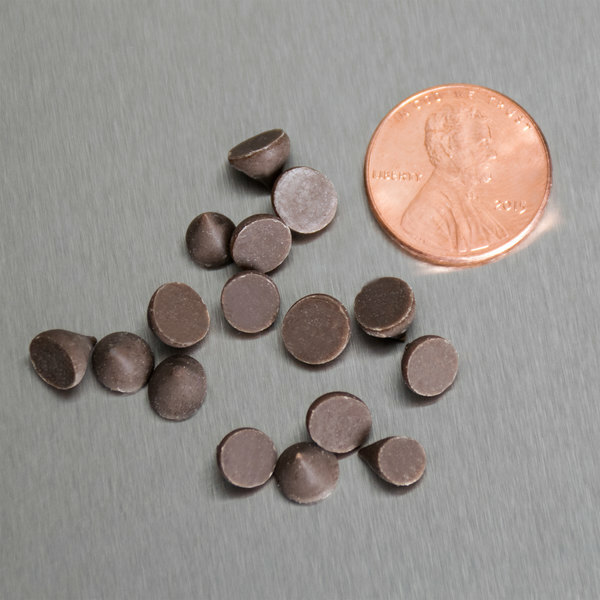 A good quality baking chip that is perfect for making chocolate ganache. The chips melt well into our heated whipping creamy. They have a great taste and consistency. Cant go wrong with sprinkles. will order again. the packaging itself is nice. doesn't come all broken. it as fresh and taste great. the chips are not melted together which is a HUGE plus. easy to store and last long. we bought this size and the smaller size as well. Regal branded foods are every bit as good as leading brands, without the extra costs. These baking chips have a variety of uses from baking, toppings or everyday snacks. I won't lie I was a little skeptical with these chips but so far they have worked and tasted great in all of our baked goods must get ! I was a little hesitant when first purchasing these, being a generic version, but they taste SOO good! They are a great complimentary item to many of our ice creams. Love these. They taste so good. Use them for everything ranging from cookies to muffins I portion them in baggies and freeze them for later use. Really worth the money. Great deal for my home bakery. Can't really complain about chocolate chips. They have great applications from baking to throwing on top of waffles to make chocolate chip waffles. Taste great. 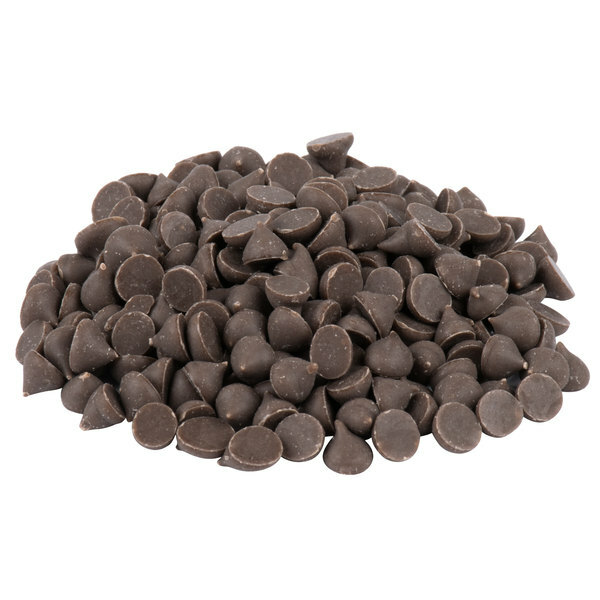 Chocolate chips are definitely a must have for any and every baker. They are used in and on so many different treats. Regal Foods is a good brand which makes various products. Excellent! I highly suggest checking out the bigger bulk sized chips at a cheaper cost, however, you cant go wrong with the smaller cheaper priced package. Very authentic chocolate taste that isn't over the top. These were wonderful compared to other companies that we order from! Packaged great and arrived early! This was perfect for our chocolate chip pizza! Very satisfied! Although a good price, these chocolate flavored chips were lacking in chocolate flavor. Next time I will get the regular chocolate chips and pay a little more. Love the size of these as a frozen yogurt/ice cream topping compared to regular chocolate chips that are used for baking. Will continue to order these. Not bad. Because they are chocolate flavored chips they are somewhat lacking in flavor compared to real chocolate chips. But you get what you pay for because the price is very reasonable. These chips are perfect for baking! Easy to melt into a sauce for drizzling or covering strawberries! Love making classic chocolate chip cookies with these sweet morsels!! When you melt these, they are extremely easy to work with. I personally love them for chocolate fondues. They're not too sweet, but provide the chocolatey taste desired. A wonderful chocolate flavor. Great for coating cake pops and making chocolate decorations for cakes and cupcakes. Melts easily and is easy to work with. I'm so happy these chocolate flavored chips are such a great price because they are used for everything! They have a great chocolate flavor as well. We literally use these in everything. They are a great product and they come at a great price. As you can see, they are great when added to the icing making process! The chocolate chips have a great flavor. We use them in some of our smoothies and as sprinkles on some baked goods. They're price is unbeatable as well. 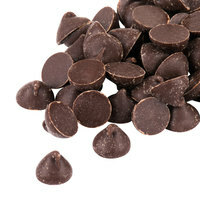 These chocolate chips are great mini burst of flavor. 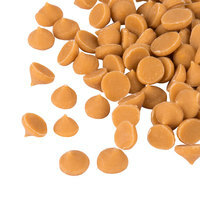 We use these as a topping to our coffees and pancakes, they really makes the food and drinks pop.